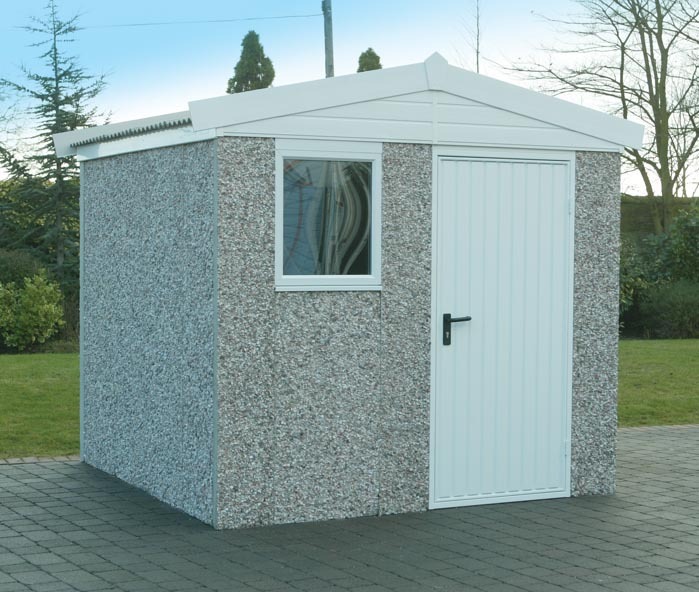 Our Sheds and Workshops range offers the largest selection of buildings. 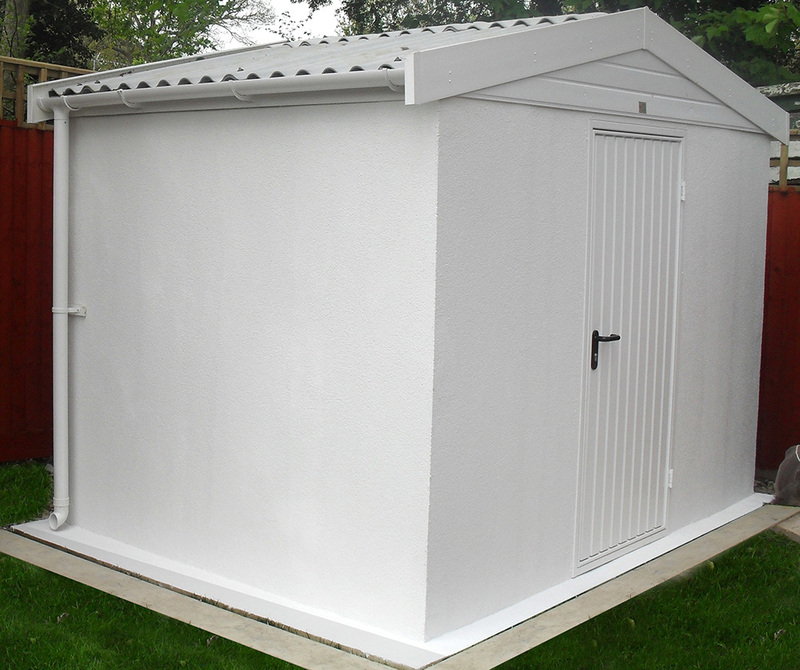 Based on the four basic building shapes, (Pent, Apex, Apex 15 and Apex 20) our Concrete Sheds and Workshops range can be supplied from 4′ (1.22m) to 26′ 6″ (8.08m) wide, or from 4′ (1.22m) to 28′ 3″ (8.61m) long (Pent) or as long as you want as any of the Apex range. 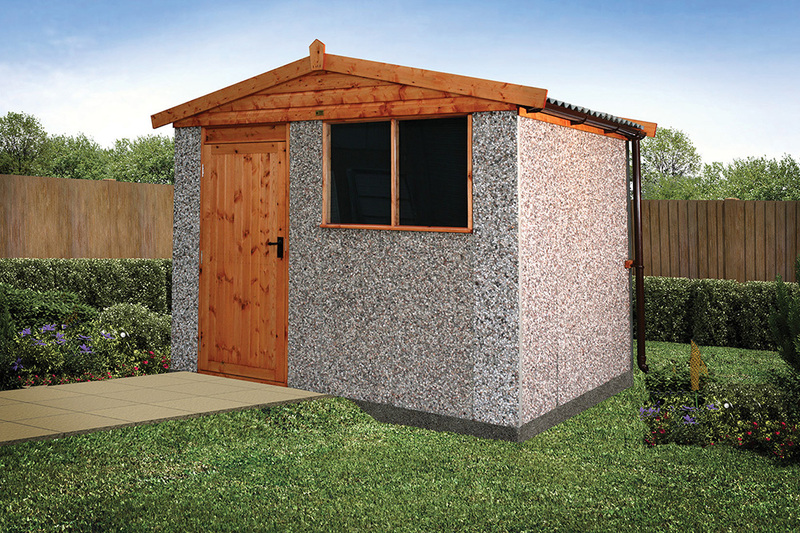 With the full range of options, your shed or workshop can be specified exactly as you want it. Three standard heights complete the choice. 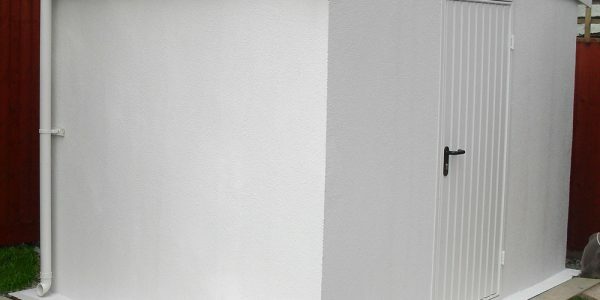 Our unique Design&Build service offers the ultimate flexibility. 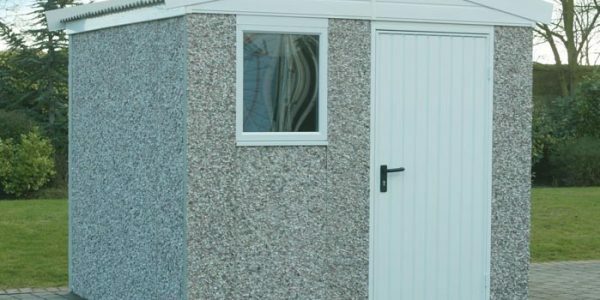 Our buildings can be lined and insulated to provide exactly the right environment for you. 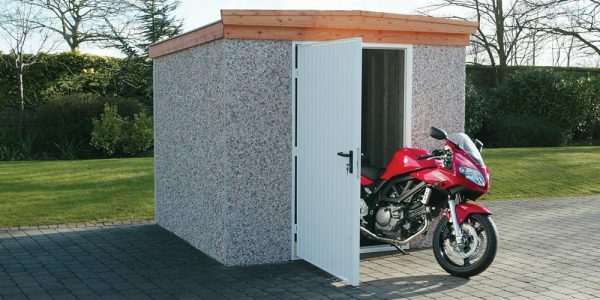 Whether your building is for storage, workshop, hobby room, kiddies play room and toy store, utility room, motorbike store or somewhere to put the garden furniture, we can help. 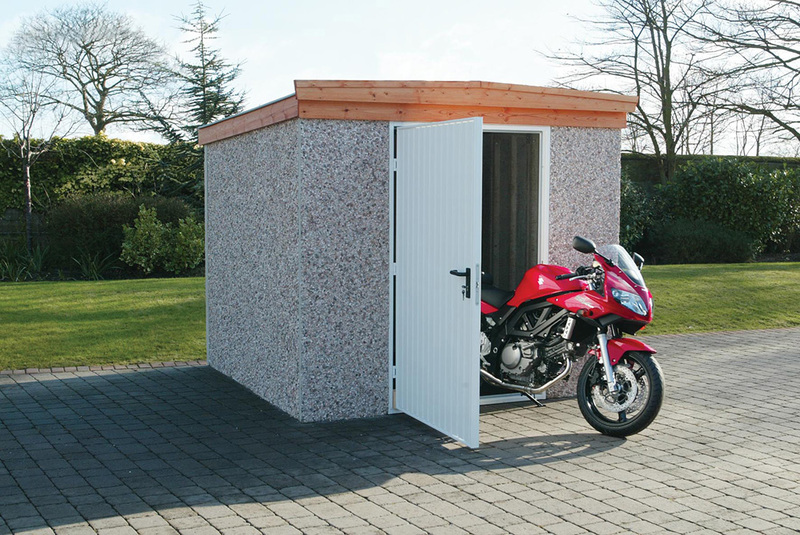 You can combine your building with a garden room specification – a partition wall gives you the best of both worlds. 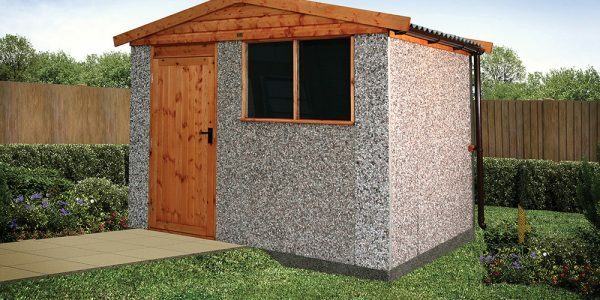 With our Stone and Brick effect, Textured and Garaclad PVCu cladding finishes, your Prefabricated Concrete Shed or Workshop will blend in to your property, and as they are made out of concrete panels, they will not catch fire, rot or need treating. Apex: as long as you want. 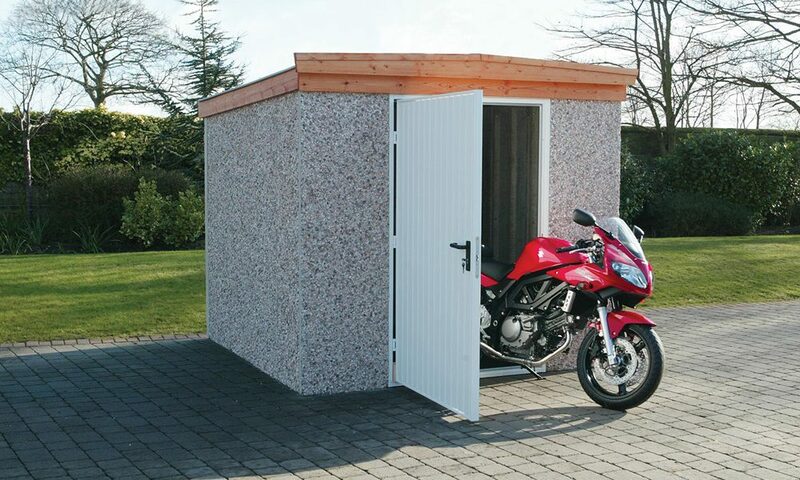 3′ (0.91m) horizontally boarded standard timber door. Roof type depending on the shape chosen (see standard building range).